Arsene Wenger has opened the door to selling Alexis Sanchez this month. Wenger has admitted that Arsenal may have to enter the market themselves if they receive a big-money January offer for the striker. Manchester City and Paris Saint-Germain are both keen, with the French club ready to test Sanchez and the Gunners with a bid in this window. Sanchez is ready to join City on a free transfer in the summer and Pep Guardiola losing Gabriel Jesus to a knee injury may tempt them to make a move now. It is understood that Arsenal may be willing to listen to offers in excess of £25m for Sanchez with Jack Wilshere likely to sign a new deal and Mesut Ozil wanting to see out his contract. 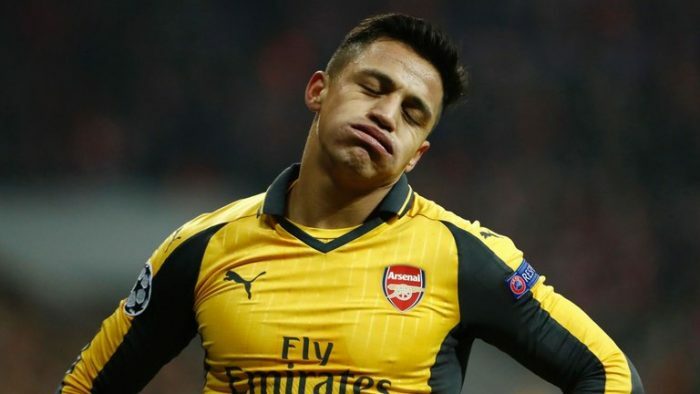 City know Sanchez is not cup-tied for the Champions League while Arsenal would offload him as his form has been patchy this season. But Wenger hinted that if an offer comes along then they may have to consider it depending on whether they can bring in a replacement. Gunners boss Wenger, whose No1 target is Monaco’s Thomas Lemar, said: “We are open in any position for the exceptional player who can give us a plus.